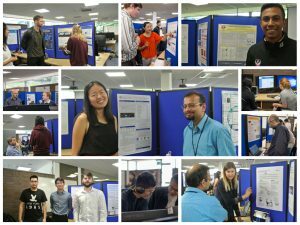 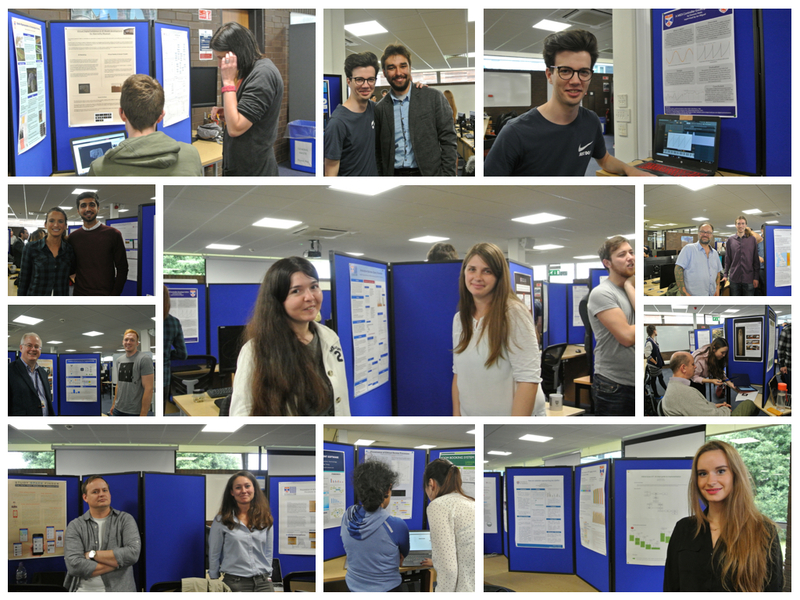 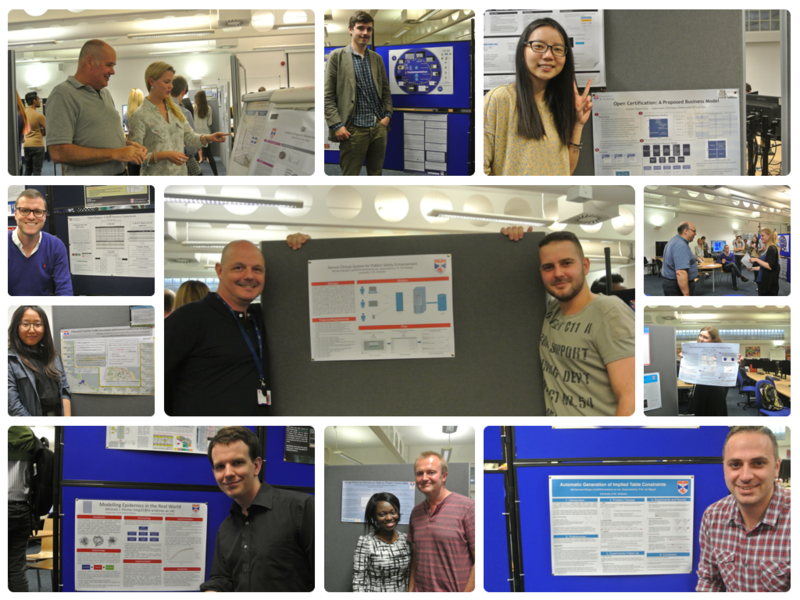 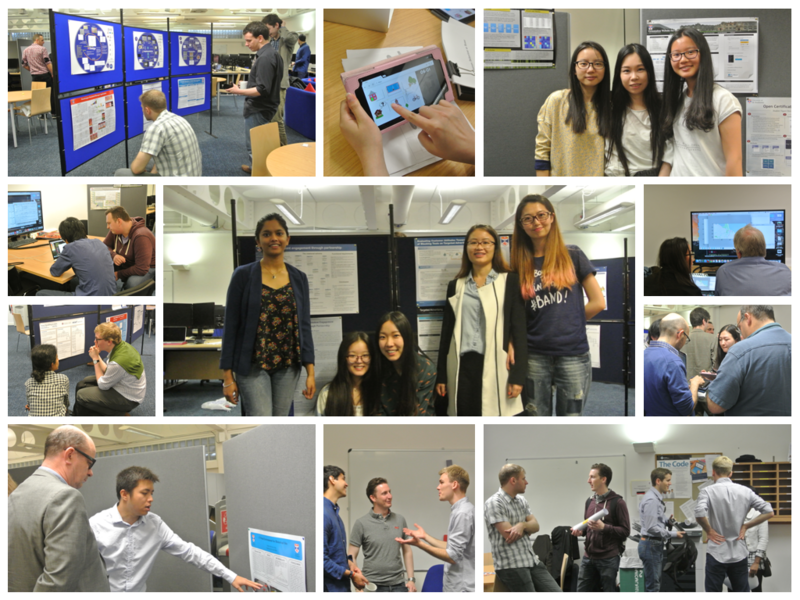 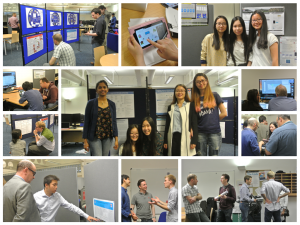 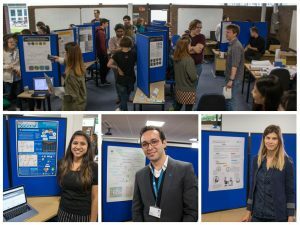 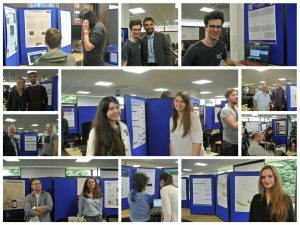 After a year of hard work, and an intensive summer project, our MSc students submitted their final dissertation and presented their project posters and artefacts. 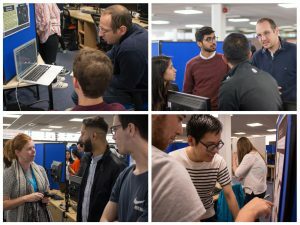 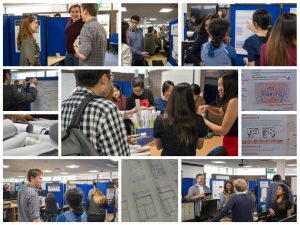 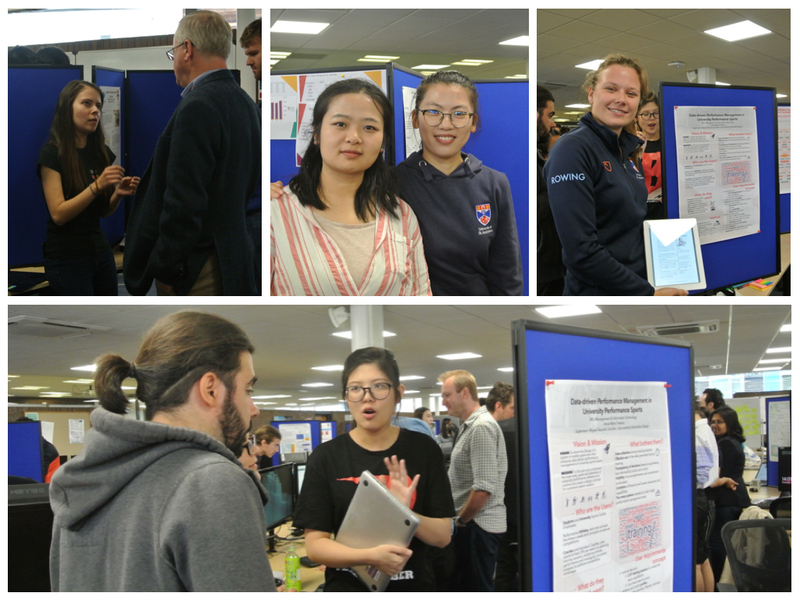 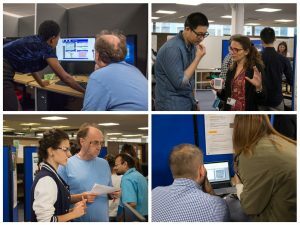 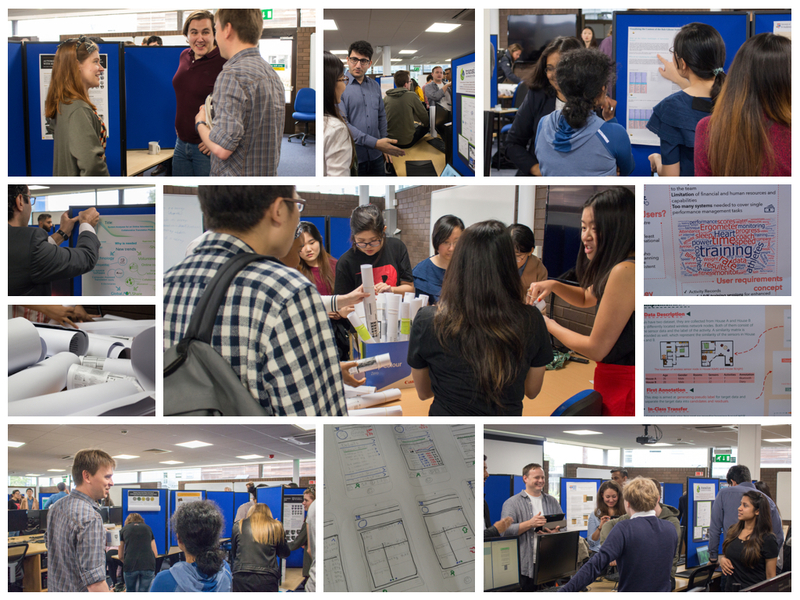 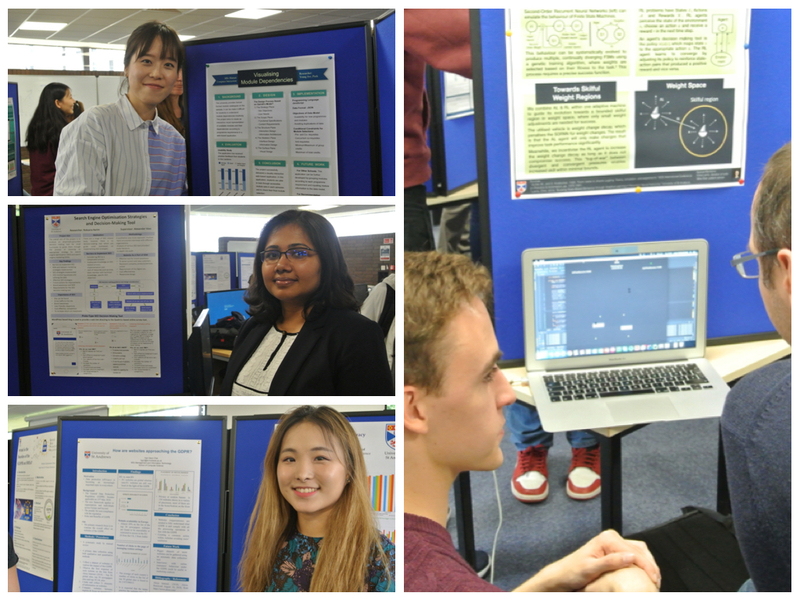 Last month’s busy poster demonstration session pictured below, provided a great opportunity for students to meet with second markers, reflect upon their MSc experience and appreciate the diverse projects completed by their peers. We wish them all, every success with future plans, and look forward to seeing them again at December Graduation. 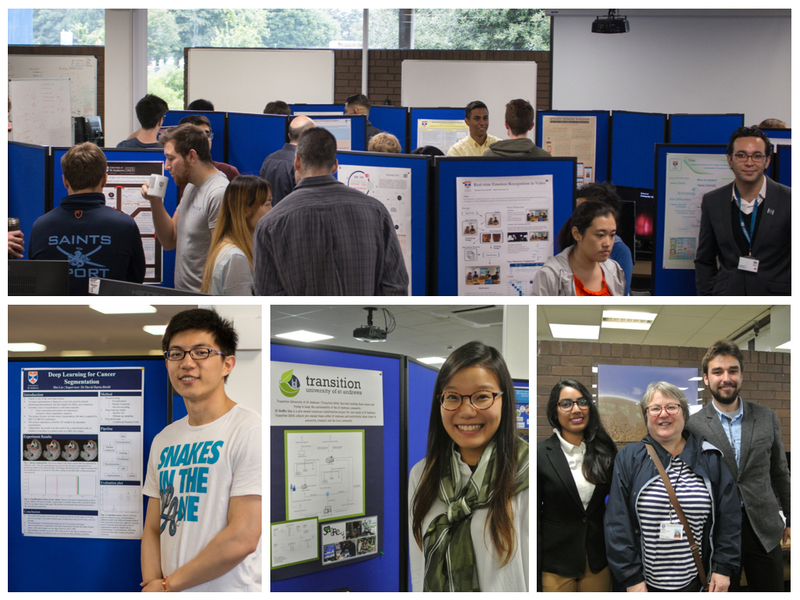 In September 2014 a diverse group of students commenced their studies on our MSc portfolio. 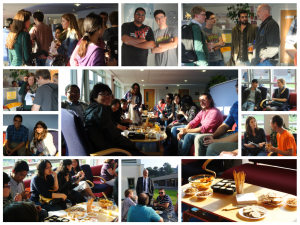 Some are pictured below at our annual welcome reception. 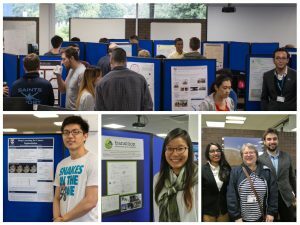 Fast forward to August 2015 and after a year of hard work, and an intensive summer dissertation project, they submitted their dissertation. 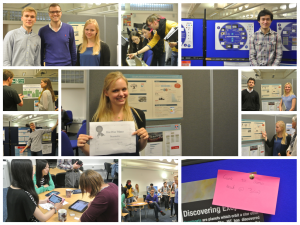 Today they presented their posters and demonstrated project artefacts. 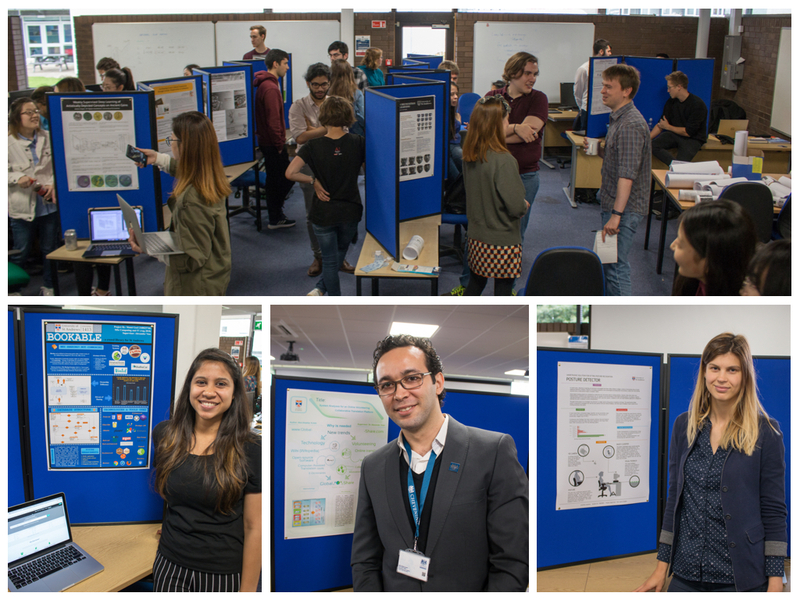 The eventful poster session provided the perfect occasion for students to meet with second markers, reflect upon their MSc journey and appreciate the projects completed by their peers. Congratulations to Milena Marzluff, who will receive the coveted amazon voucher for best poster. 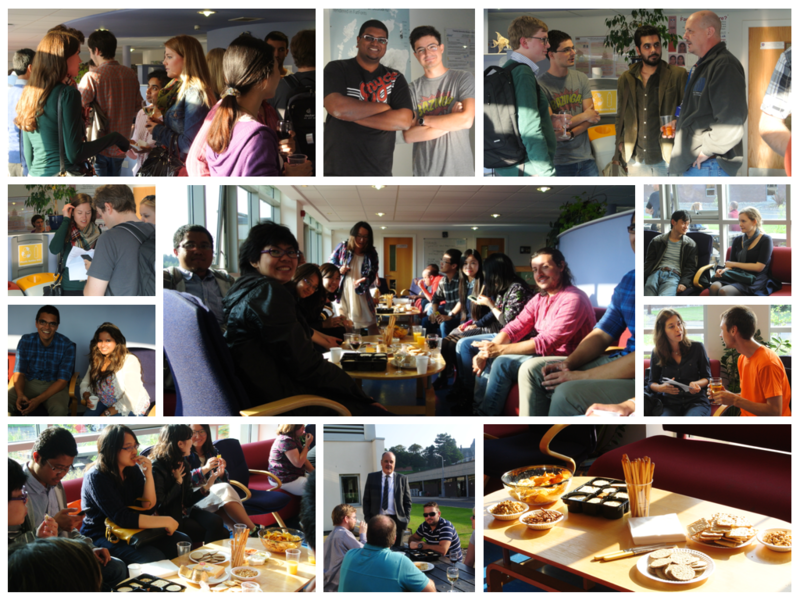 We wish them all, every success with future plans, and look forward to seeing them again at November graduation.